Hay! here is the list of best printers in India. Printers here, are of good brands too! so you don’t have to be worried about brands. HP M1136- This printer can help you doing your everyday office tasks, this compact machine can do Print, copy and scan all these functions runs with energy saving features with an ENERGY STAR . It has high quality printing so you can print documents with bold text and sharp images, using Original HP print cartridges. It prints at speeds up to 19 ppm letter/18 ppm A4, it has instant on technology which prints even more fast! HP DeskJet Ink Advantage 3835- (RECOMMEND) This is the best printer in this list with the easiest wireless way to print from your smartphone or tablet, it uses HP’s lowest-priced ink cartridges, you can manage printing tasks and scan on the go with the free HP All-in-One printer remote mobile app it easily print from a variety of smartphones and tablets you have. It have plenty of functions like Print, copy, scan, wireless, fax. It even have a touch display which awesome! Canon E510- Advanced All-In-One for Low-Cost Printing- The most beautiful and less space consuming printer in this list with all common features at a normal budget price, It gives you the most affordable printing experience with affordable ink cartridges. Front paper and ink feeding system allows you to do easy and time saving printing. Canon E510 supports Auto on/off system which detects a print command and will automatically switch the printer on with a USB connection and automatically switches off after a specific timing for more energy savings. Canon PIXMA MG2470- This could me the cheapest all in one printer in this list it allows you to do functions like print, copy, scan. It is compact and lightweight so you can use it with an ease, at such a low price it also features Auto power on/off means it detects printing command and automatically turns on. It has Front Paper and Ink Feeding System which allows you to do Easy loading and ink cartridge replacement. 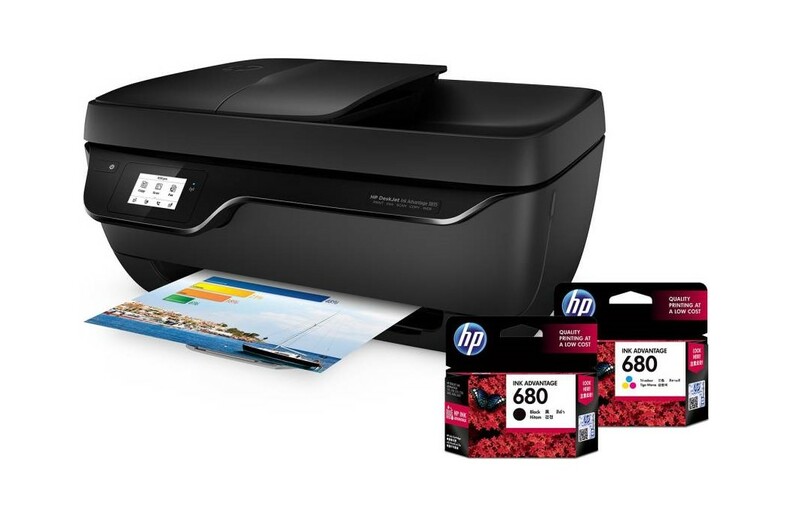 So, if I have to choose one all in one printer from this list I would choose HP DeskJet Ink Advantage 3835 because this printer is the easiest to use, it supports USB as well as wireless connectivity which means you can easily print anything with your mobile phone from its HP print app and also you can print from any other device like PC which have the internet access.